The key thing going on in metro Atlanta's belly dance community this weekend is an event brought to us by the fabulous Amani Jabril called "The Dancer's Intensive: Crafting the Art of Dance." 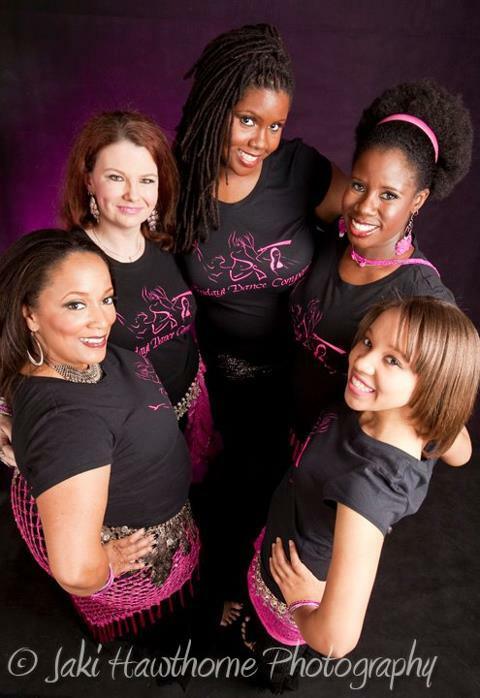 Amani will be joined by former Bellydance Superstar Yasmine of Charlotte and Kitiera of Seattle in bringing instruction, performances, and discussions to several locations in the Roswell area. This is the first of several Dancer’s Intensive events Amani plans to produce. The goal of this event is to focus on crafting the art of dance by connecting with the body, the rhythm, and the people. The weekend will include a series of intermediate/advanced-level movement workshops, two lunchtime discussions led by Amani, a welcome hafla Friday night, and a gala show Saturday night. It's not too late to get involved! Click here to learn more. 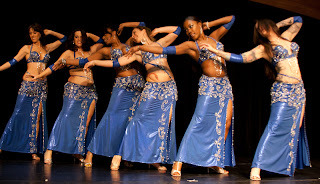 So what's happening in the metro Atlanta belly dance community this weekend? Between World Belly Dance Day and Mother's Day, it will be a great weekend to celebrate your love of this art form and its power to not only honor women's bodies and spirits, but also to bring women together with a very special bond. Saturday at 1:00, Shimmy Mob will occupy Atlantic Station for its second year. This is a "flash mob" type of event involving dancers from throughout the metro area. Lacy Perry of Belly Dance by Lacy and Beledi Boutique has been offering free classes in this year's choreography, and will be coordinating the performance. Proceeds from participation fees will support local women’s and children’s shelters. Look for the dancers in matching T-shirts near California Pizza Kitchen. Come out and celebrate National Belly Dance Day! Sunday from 1:00 to 4:00, Nazeem Allayl Studios will host a mother-daughter event at its Peachtree Corners studio. Bring your daughter or your mom and enjoy a special sale (including kid-sized costumes), a mini-workshop, performances, and more. Happy National Belly Dance Day and happy Mother's Day from Yalla Y'all! 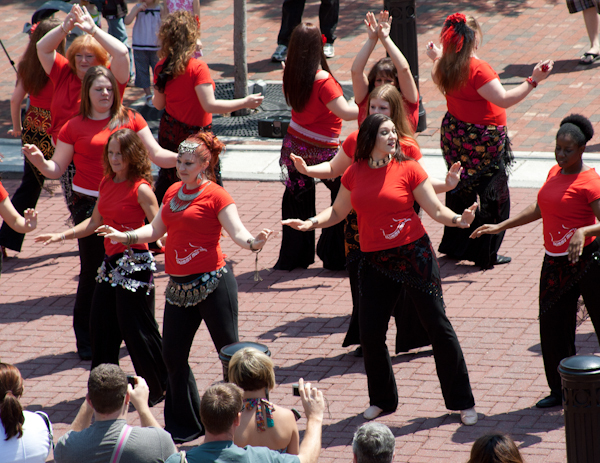 What's happening this weekend in the metro Atlanta belly dance community? Well, Saturday night brings your monthly opportunity to see members of Jahara Phoenix at Messina's Mediterranean Cuisine in Lilburn. Sunday is a big day (and night) for events throughout the metro Atlanta area! It'll be a busy weekend for Jahara Phoenix; they'll be appearing again at Duluth's Barefoot in the Park festival. Look for them on the main stage at 3:15! At 4:00 p.m. in Woodstock, Inara and her students and troupes will present their Annual Bellydance Oasis May Day show at Elm Street Cultural Arts Center. There will also be a special performance by the Adult Beginning Ballet Class from The School at The Georgia Ballet. Lively music, beautiful costumes, and captivating choreography – a show sure to delight the family & friends! A portion of ticket sales will raise money for charity. 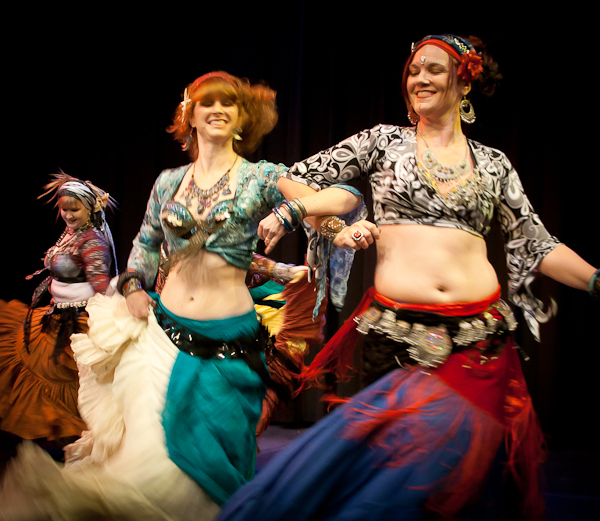 And last but not least, Bellydance by Samora will take over Nicola's at 7:00 for their fourth annual Anniversary Show. Current and former students, the Amoraat dance troupe, Samora, special guests, and of course Nicola will raq your world while you enjoy a full Lebanese dinner! Doors open at 6:15, and tickets are $25 at the door.